These books are full-length standalone contemporary women’s fiction novels with adult language and happily ever afters. These days, finding love online is as commonplace as ordering that coveted sweater. But back in 2003, the whole concept of internet dating was still quite new, with a stigma attached to it that meant those who were willing to test the waters faced a fair amount of skepticism from friends and family. Previous postJoin the 2017 Romantic Summer Reading Challenge! 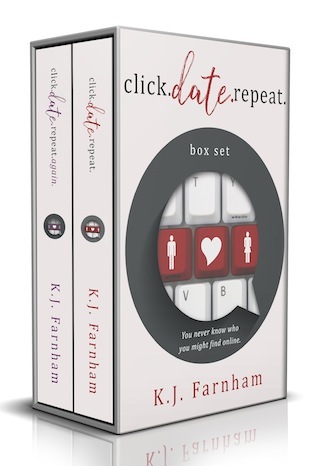 Next postClick Date Repeat is FREE!